The Arts Council exists to advance and promote arts and culture in the Wichita community, and one of the ways we do that is through our Artist Grants. This year, the Arts Council gave a grant to Opera Kansas for their Final Friday Performances. 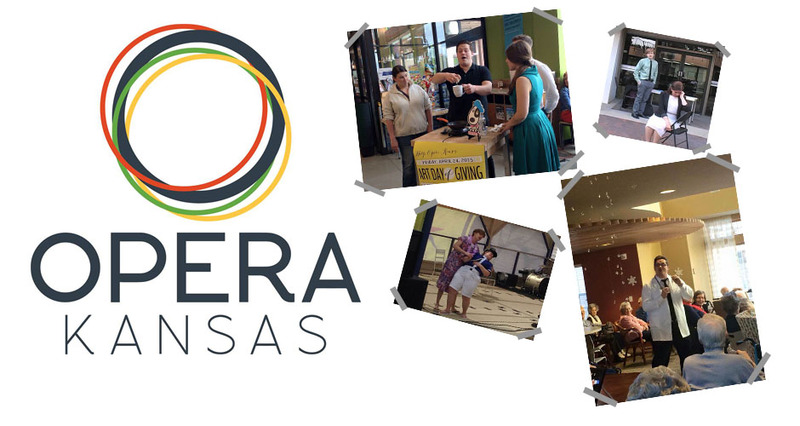 Opera Kansas is a 501c3 oganization that presents engaging, accessible and educational productions that give young performers a venue to learn their craft. Through the Arts Council Artist Grant, Opera Kansas was able to put on five different Final Friday shows this year. In May, Opera Kansas opened their dress rehearsal of Offenbach’s The Island of Tulipantan to the public. In this performance, the Duke of the Island of Tulipatan has an heir, or does he? His daughter who has been raised as a boy falls for Alexis, the daughter of The Duke’s Field Marshall. To prevent their only child from being drafted into the army, the Field Marshall’s wife has raised their son as a girl. The comedy begins when boy meets girl then girl meets boy and the confusion starts. In the end, all is revealed. In June, they presented La Serva Padrona at the Garvey Kiva Center. Uberto, an elderly bachelor, is angry and impatient with his maidservant, Serpina, because she has not brought him his chocolate today. Serpina has become so arrogant that she thinks she is the mistress of the household. After some trickery, Uberto realizes he truly loves Serpina. They marry and she becomes the actual mistress of the house. In July, Opera Kansas presented a free concert of American Song. In August, Opera Kansas put on portions of Kirk Mechem’s opera John Brown at the Sedgwick County Historical Museum. And finally, in September, they put on Opera Kansas Constitution Day School Educational Initiative. The program included three historical characters- Benjamin Franklin, John Adams, and George Washington- who presented different aspects of history, civics, literature and music from 1776 to 1787. The Arts Council gives out several Artist Grants a year. It’s time to start thinking about grants for 2016. To apply for an Artist Grant, fill out this application. View all the rules here.